Hera Systems is a San Jose, California startup company developing a constellation of micro satellites that will deliver high-revisit, high-resolution imagery and video. The company's imaging satellites are designed to enable government and commercial customers to better monitor the ever-changing features of the earth's surface. In December 2015, Hera announced it had signed a licensing agreement with NASA Ames Research Center that will allow Hera to leverage NASA's technology to further develop its satellite design. 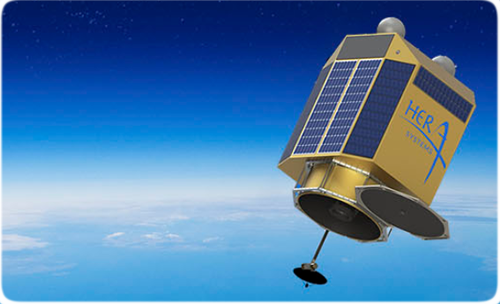 Hera currently is in the process of completing initial field and lab testing of key proprietary subsystems prior to planned high-altitude airborne testing in late 2018. This will be followed by initial launches beginning in 2019.